So you’re in the mood to purchase another game and are considering one from Herocraft but do not know which one would be the best to purchase? Herocraft has been releasing games for Android for a long time now, and each game caters to its own demographics - from farming to shooting to strategies to puzzles… the list goes on. We will go through all 13 games (not including their 2 adult ones) and explain each game and its features to shape your decision. Herocraft updates its games on a regular basis, so if there is one thing you can be certain about when purchasing one of their games, it's that you can always expect improvements, more content and compatibility with most, if not all Android devices. But that's not all - you will be able to win all of the paid games listed here for free by participating in a giveaway. See the details at the bottom of the post. Farm Frenzy is Herocraft’s most popular title released for Android. 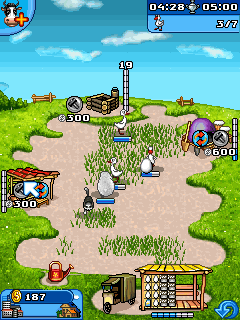 In this game, you run your own farm, completing objectives in each level and becoming a farming master. 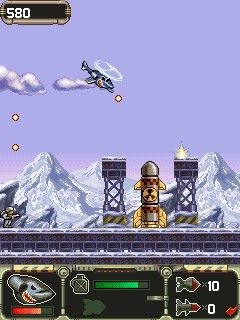 Controls are all touch based and the gameplay becomes fast and crazy quite quickly. There are different rankings you can earn each time you complete a level depending on how well you reach your objective. Between keeping your animals fed and safe, selling your products, and upgrading buildings, Farm Frenzy offers a lot of fun gameplay and a lot of replay value as you try to beat your own high scores and get better rankings. This is definitely one Herocraft title worth checking out. Art of War 2 is the latest addition to Herocraft’s lineup. 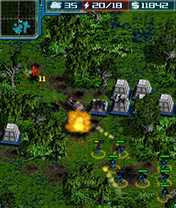 This is a RTS (Real-Time Strategy) game similar to the Command & Conquer or Starcraft games available on the PC or Console. While the style and idea behind the game are similar to what you would find in PC titles, this game is unique as you do not have to worry about harvesting resources. 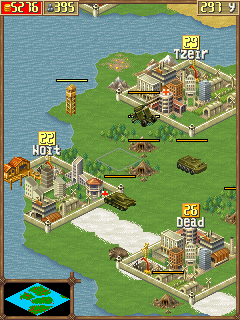 You gain money through killing enemy troops, which is all you need to build structures and recruit personnel. As your rank in the game increases, you are able to access additional structures, have more of structure type and recruit more units with different abilities. As with most of Herocraft games, most of the controls are touch based although you can use the trackball for some things like map scrolling. Another great feature is the ability to download new maps to play via map packs that will be available. With the dynamic gameplay found in Art of War 2, the game will always be slightly different no matter how many times you play the same level, adding to the value of this title. If you like RTS style games, this is definitely a great buy. Unfortunately though, you can only purchase the game through Herocraft’s website where the rest of the games are available on the market. 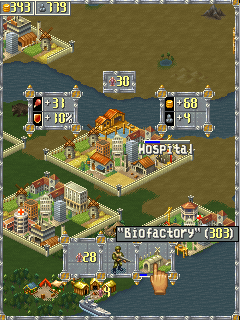 Based off the design of Sid Myers hit series of games Civilization, Revival Deluxe and Revival 2 offer up a big dose of sim/strategy gameplay for your Android phone. Both games boast a huge amount of options and features along with dynamic gameplay to always keep it interesting and entertaining. Both of these games are big in depth and gaming value with Revival 2 offering over 2000 planets to conquer and both games offering up advanced AI opponents. Isometric graphics and atmospheric music. While Civilization is actually available for Android devices, it lacks a lot of gameplay you would find in the PC version. Revival 2 and Revival Deluxe make up for this with their depth and dynamic gameplay and overall great graphics. There are not many turn-based strategy games that can hold a light to these two titles so if you are looking for a game in this genre, these two are good choices. If you have played Bonzai Blast by Glu Mobile then you already know the idea behind Zum Zum and the style of gameplay it offers. Zum Zum ups the ante with more complex stages that can really present a challenge. 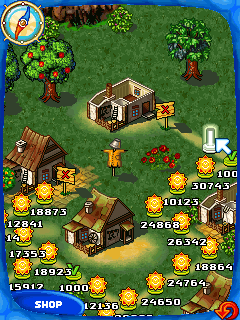 If you have not played Bonzai Blast or a similar game the premise behind it is to clear the stage of all the balls before they reach the end. 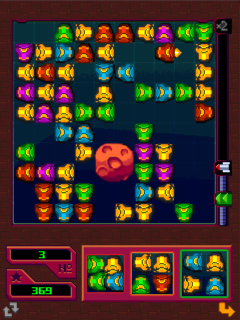 While being more complex in its stages, Zum Zum offers up some good casual gaming in the form of a puzzle/action game. Some stages will definitely take you a few tries to complete and while the gameplay may not be all that dynamic, it is fairly addicting and you usually end up playing it a lot more then you thought you would. 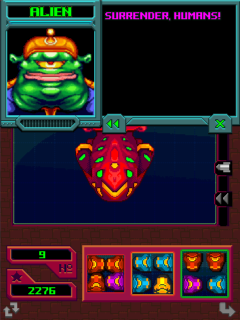 In this puzzle game, you are put in charge of a Spaceport and it is your job to make sure everything runs smoothly and traffic does not get backed up. Matching 3 or more of the same kind of ship sends them off into hyperspace freeing up room in the spaceport. 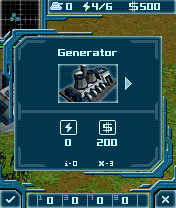 This will help keep the spaceport from overflowing with ships and you losing the game. Ships are in blocks of 4 when they arrive and touching on the screen moves them to where you want the ships to go, hopefully matching up the same kind. It is definitely not as easy as it sounds though. Survival mode is just a continuous level with no ending until you lose which makes for some great challenging gameplay. Overall while the whole idea of matching 3 or more of ‘something’ to eliminate them from the stage is nothing new, the twist of having them in blocks of four makes this a bit more unique than games of a similar nature. Definitely a decent way to kill some time. 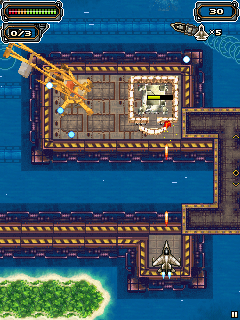 Eurofighter is a top-down scrolling shooter where you navigate your fighter jet through various levels, shooting down enemy aircraft, blowing up bridges and buildings while uncovering terrorist plans. As you progress through your missions you will be able to pick up various weapons to help you in your destruction of the enemy. 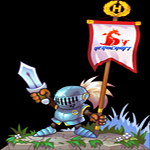 As with all of Herocraft games, the graphics are highly detailed 2D images and animations that render smoothly on just about any Android device. The game comes at you fast and is intense the entire time you are dogfighting your way to the end of each stage. While there are some really good options to consider when buying a game in this genre, Eurofighter should be ranked up there as one of the top five shooter games currently available for Android. What the game lacks in plot, it more than makes up for with plenty of things to blow up! Another war-time aircraft shooter , this game puts you in charge of a helicopter named Black Shark that is packed to the gills with weaponry. 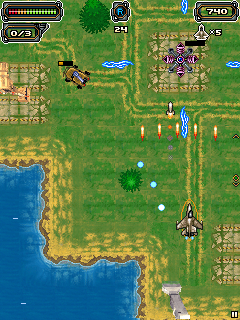 In this game you fly through stages shooting down enemies aircraft, blowing up enemy structures and pretty much just decimating everything in your path until you reach the end of each stage. If you were expecting the enemies to be your standard troops and airplanes, you’ve got another thing coming – expect plenty of fire coming at you from rocket launching trucks, tanks, and a whole lot more. You’re not completely defenseless though, as you’ve been equipped with plenty of air to surface fire power for taking out ground based targets. Tank - Heavy slow unit with the large calibre machine-gun. Jeep - Fast unit with smart weapon. 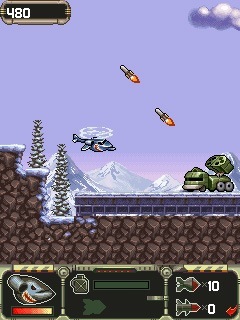 Grenadier - Attack by missiles. Sub-machine gunner - Quick moving infantryman. Bunker - Small but dangerous units run out from it. Fighter - The most perilous rival. Cannon - Powerfully but fixed enemy. Ground-air missile - Attack when you come close. Submarine - Hide under water, attack by self-guided missiles. Mobile rocket launcher - Its shots are fatal for black shark. Simply put, this game is about blowing things up. If you are looking for a game where you can just destroy a bunch of enemies and feel like you are actually accomplishing something by doing that then this is the game you have been looking for. In Postal Babes you play scantly dressed females on a rescue mission to help out the first year girls on your campus who have been taken hostage by a bunch of maniacs. Your objective? 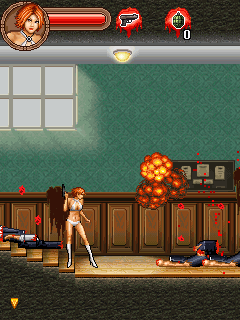 To rescue the girls while dishing out some street justice with whatever weapons you can find whether that be a baseball bat, knife or that random machine gun that just happens to be sitting in the hallway. While the storyline and overall idea of this game is amusing if not somewhat ridiculous, the game itself features a lot of interactive gameplay including climbing up ladders, jumping up onto patios and much more. While there are plenty of platform games available for your Android phone, Postal Babes is welcome change of pace with a plot that obviously doesn’t take itself too seriously. If you want a not-so-serious platform game to play then this is pretty much your best bet. Now this is an interesting game where not only do you rob building of their jewelry, money and whatever else you need to rob but you have to plan it as well. Stolen in Sixty Seconds offers you a mix of strategy with real time action by making you plot your course of action and then making you execute the plan by doing several tasks. Some of these tasks include hiring the people to do the robbery, supplying them with the appropriate equipment, plotting the actual robbery, pay people to gather intelligence and a whole lot more. While this may seem a bit overbearing it is actually quite entertaining thanks to the theme of the game. Stolen in Sixty Seconds gets increasingly difficult as you complete each job and begins to really test out your planning abilities while keeping the game fun. Since this game is a mesh of different game genres it will appeal to almost anyone looking to pick up a new game that you can not finish in about an hour of playing. In the spirit of all things weird, especially storylines for video games, M.U.M.U. is about a man who is trying to survive in a post-apocalyptic world which is now run by his ex-beloved pet dog that has turned into a cunning monster. 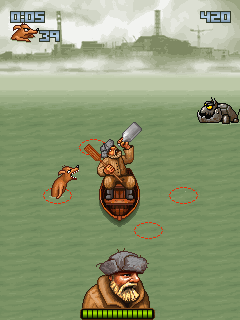 In order to survive the attacks from semi-intelligent mutant dogs, he must use his only weapon: an oar. Obviously your attacks are fairly limited if your only weapon is an oar. Expect to be bashing mutant dogs on the head with it as they attempt to board your boat. Along with this twisted storyline comes a fun and entertaining game to play. This is pretty much one big survival mode game where you have to stay alive as long as possible without dying. 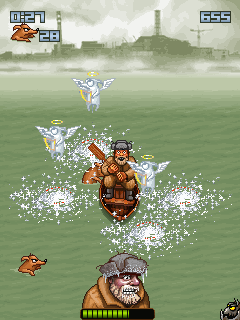 Sitting in your boat you just bash the heads of the mutant dogs as they come at you while drinking your booze and keeping your health up. M.U.M.U. is the type of game you can just pick up and play anytime you feel like killing a few minutes and need a good chuckle. Twice! is a graphically beautiful memory game. Unlike a lot of memory games that have typical flat graphics and possibly an animation or two in it, Twice! has highly detailed graphics and animations to really keep you in the game. Playing the game is just like any other memory game, flip over two tiles and if they match you get points. Twice! also has three game modes to choose from: No Limit (no limit on how many attempts you have), Limited Attempts (limit to how many tries you have), and Race Against Time. This is one of those games you can enjoy playing while sitting down having your morning coffee or maybe when you have a little time to kill while waiting for someone. What makes this game stand out from the rest in this genre is the graphics and music along with the three different game modes to choose from. A really good option to consider if you are wanting a memory game to play. As the name pretty much gives away, this is a collection of games from Windows. You get Minesweeper, Spider Solitaire and Free Cell. While this may seem a bit boring to some people, the graphics have been completely redone as only Herocraft knows how to do it. This in turns breathes a bit of life back into these classic games that we have all played at one point or another on our PCs. 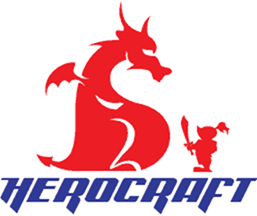 Herocraft have a lot more games in their line-up for mobile phones in general and hopefully we see some more of their games ported over to Android such as Thursday the 12th along with some of their other action and RPG games. Hopefully this list of Herocraft games helps you decide what game(s) of theirs you may want to buy and made it easier instead of trying to sift through the market to look at them and judge whether you want one or not based off the short description. You can also try all of these games for free by downloading the Lite version off the Android market to test before you buy. 10 of you will win any paid (or free if it floats your boat) Herocraft game of your choice. 1 of you will win the grand prize of ALL paid Herocraft games. 1. Make sure you follow us (@AndroidPolice) on twitter. The most interesting, original, or funny tweet gets the grand prize. The contest starts immediately and runs until Wednesday, July 21st, 11:59PM PST. Winners will be announced here and notified by twitter or email. Good luck, everyone, and feel free to share your favorite Herocraft titles with us below.